A regularly scheduled roof inspection and roof maintenance plan from a roofing company in Tampa, FL and Brandon can help increase roof life expectancy and decrease the necessity for emergency improvements or repairs. However, roof system maintenance is often the most neglected area of a roof management program. In fact, most roof systems are managed reactively by repairing leaks after damage has occurred. Routinely examining and cleaning drains, roof surfaces, and downspouts is crucial to an overall preventive maintenance program. As a home or building owner, providing maintenance for your roofing system prolongs the life your roof and reduces its life cycle cost. Roof maintenance is critical to maintaining its longevity and protecting the structure of your home or business. As the trusted roofing company for roofing in Tampa, FL and Carrollwood, our reputation in the industry speaks for itself. 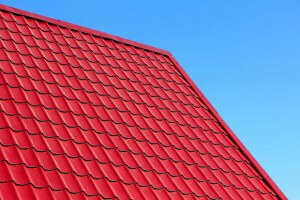 When you need roof maintenance, contact the trusted roofing contractor in Tampa and Plant City. At Dynamic Roofing Concepts, we offer roof maintenance programs to keep your commercial or residential roof in top condition. Contact us today at 813-257-9355 to schedule a free estimate.